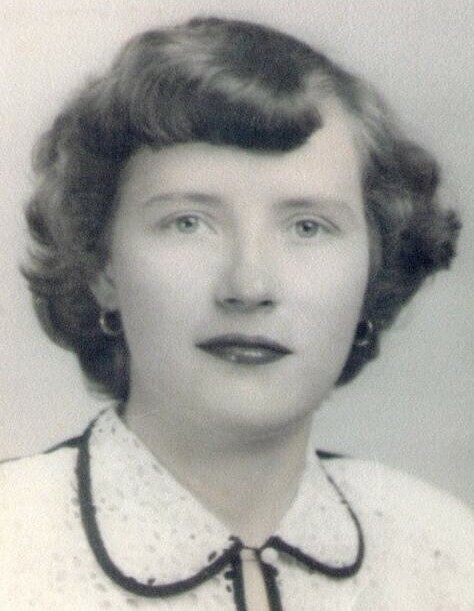 Betty Blanton Jacobs, 88, of Russell Springs, KY passed away on Sunday, November 25, 2018 at Russell County Hospital in Russell Springs, KY. Born October 27, 1930 to the late Dora and Mary McCurry Blanton, she was the widow of the late Eullas Jacobs, to whom she was married to for over 65 years. Survivors include three sons, Michael Jacobs of Madisonville, KY, Steve Jacobs (Melanie) of Maysville, KY, and Barry Jacobs (Sue) of Versailles, KY; one daughter, Susan Jacobs of Russell Springs, KY; one sister, Pauline Hacker; six grandchildren, Bryan Jacobs, Brandon Jacobs, Eric Jacobs, Katie Ward, Sarah Jacobs, and Elizabeth Jacobs; and one great-grandchild, Ellery Jacobs. In addition to her parents and husband, she was preceded in death by four brothers, Arlie Blanton, Edward Blanton, Charles Blanton, and John Blanton; and three sisters, Myrtle Sanders, Linda Perlman, and Peg Putteet. A one day service has been scheduled for Sunday, December 2, 2018 at Spurlin Funeral Home Chapel, Stanford. Visitation will be from 11am-1pm with funeral service beginning at 1pm with Bro. Fred Caulkins officiating. Burial will follow at Parlor Grove Cemetery in Waynesburg, KY. Casket bearers will be: Larry Hacker, Steve Jacobs, Michael Jacobs, and Barry Jacobs.